Cerex 48 Single-Rack Sample Evaporator Concentrator Manifold . 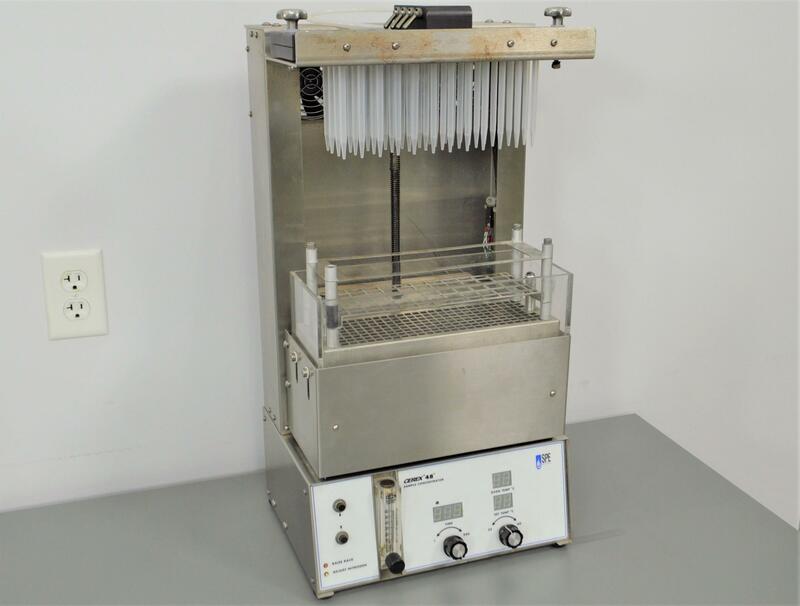 New Life Scientific, Inc.
Our in-house technician inspected and tested this Cerex 48 Single-Rack Sample Concentrator, confirming it to be functional. Technician powered on and applied air to instrument. Technician noted heaters and all fans are functional and all tables move well.